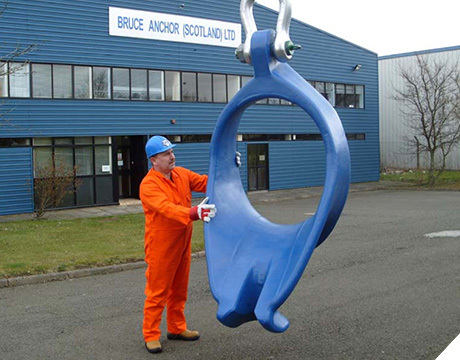 The Bruce Bight-Lock chaser enables an anchor to be recovered in less time than with a conventional chaser. The Bight-Lock chaser is pulled along the mooring line from the MODU to the mud line near the anchor. The Bight-Lock chaser locks onto a chain link or a special socket on a forerunner wire, and prevents the mooring line from running back through the chaser towards the anchor.